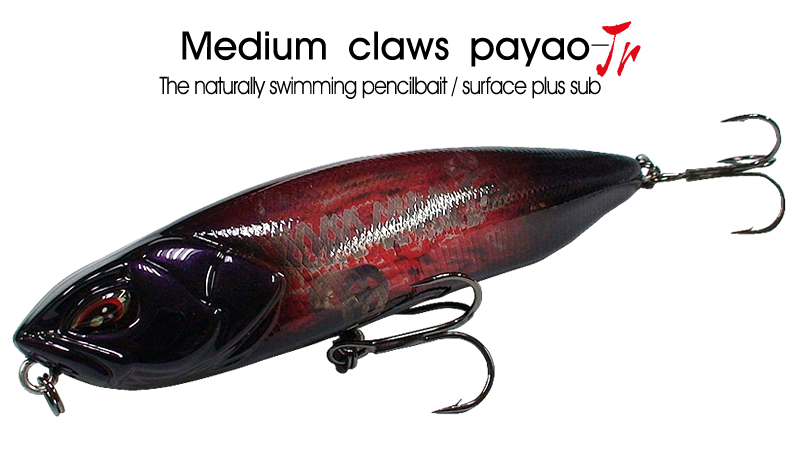 [Magnum craw PAYAO] is perfect remake of [Zenith's Z-CLAW] by [ROSSO CORSA] original model's skill overpowering wide appear and parallel to big fish,this King of swimming top water plug everything succeed. 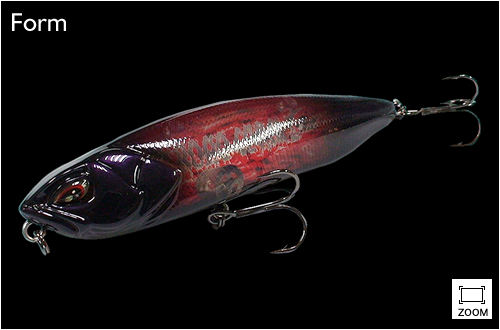 「PAYAO-Jr」　have overwhelming drive more than magnum and wide appear,this lure can react to any fish in fresh water and salt water. When you action you just put some action can get strong flushing effect. That really useful to hard catch fish. Despite small sizes　realization quick ride & walking. Devastating cast ability　&　big body create strong stir and splash. You can enjoy this plug's　manipulation to wide fish in surface sub surface. Natural swimming action is when you did dive action after retrieve can natural swimming action in under water (about 50cm- 80cm). that plug don't need to change other plug for searching. More over in area of back water flow,make the most of natural swimming action do hovering action. That action explosive activity to big bite.